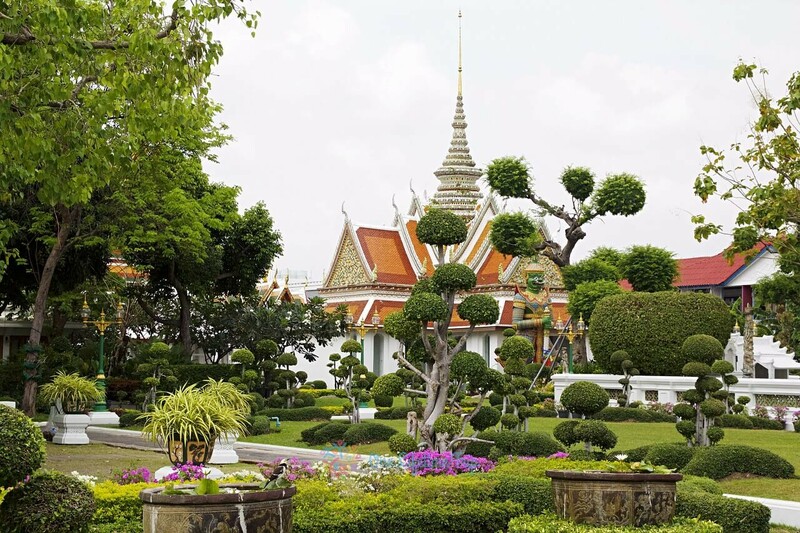 Bangkok – not just the “Sin City of Asia”. It’s more like “Land of Smiles”, full of life, color, happiness, and good food. You will never get bored here! 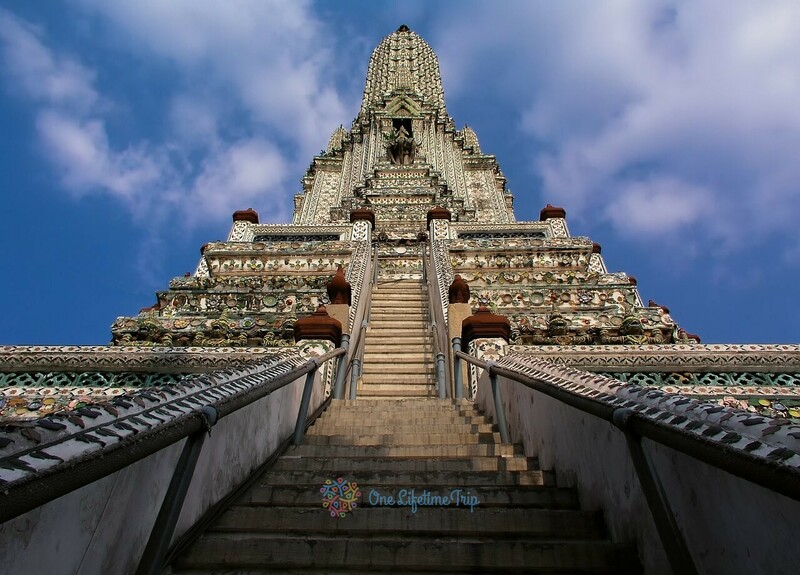 Bangkok, a city of backpackers is where a majority of tourist land up when it comes to exploring not only Thai food and culture but also its architectural beauty that lies in the numerous grand temples. It is a city where every nook is in contrast to each other from the bustling Chinatown to the local dishes served at the humble tea stalls. Oh yeah, the floating market is another highlight of Bangkok that is not to be missed. Bangkok welcomes travelers with all kind of budget with open arms and provides an unbiased experiential trip to everyone. 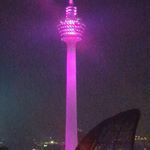 Thinking about the nightlife? Well, that goes without saying when it comes to Bangkok. The tropical weather of Bangkok makes it around the year destination with a unique charm in every season. The summers can get warm and humid but the winter days of December to February are perfect for a walking tour of the city. If you love to step out in the rain and live your childhood days then May to October is good to go. 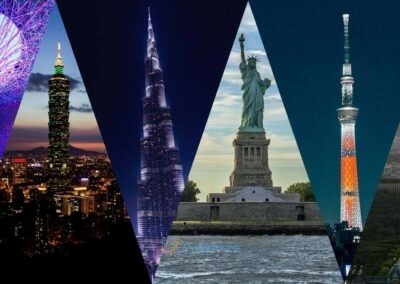 How can such a happening city in an even more happening country not be connected to the world? Yes, the city of Bangkok is well connected through two airports of which The Suvarnabhumi Airport caters to the majority of traffic both domestic and international. 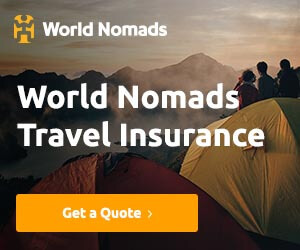 On land, transport is served by buses that connect Bangkok to other cities namely Pattaya, Koh Samui, Phuket and more and are favorite amongst tourists. As everywhere in Thailand the official language spoken is Thai. For not Thai people their alphabet will look unusual but don’t be afraid, in public transport, most of the names will be translated also in English. Most of the people will speak and understand English, so don’t worry, you can understand each other. If you are traveling in Thailand is good to know here works multiple types of plugs. Here works plugs type as A, B, C, F and O. We suggest having a travel adapter if you are not from around. Bhat ( pronounced as Bhaat) is the currency that circulates in the markets of Bangkok. If you are traveling to Bangkok then make sure you carry a certain amount with you above and over which can be easily withdrawn from the many available ATMs. Besides this, some shops have even started accepting Indian currency so that’s a win-win. Thai food is famous everywhere but here you can find also a different type of food as Vietnamese, Mexican, French, Lebanese, etc. It’s also friendly for vegans, plenty of vegetarian dishes are included in most of the restaurants’ menus. If you are a Muslim you can find also Halal food. As a dessert, you can try Tong Yip, made by egg yolk, sugar and sugar syrup or Khanom Chan which is like a jelly. 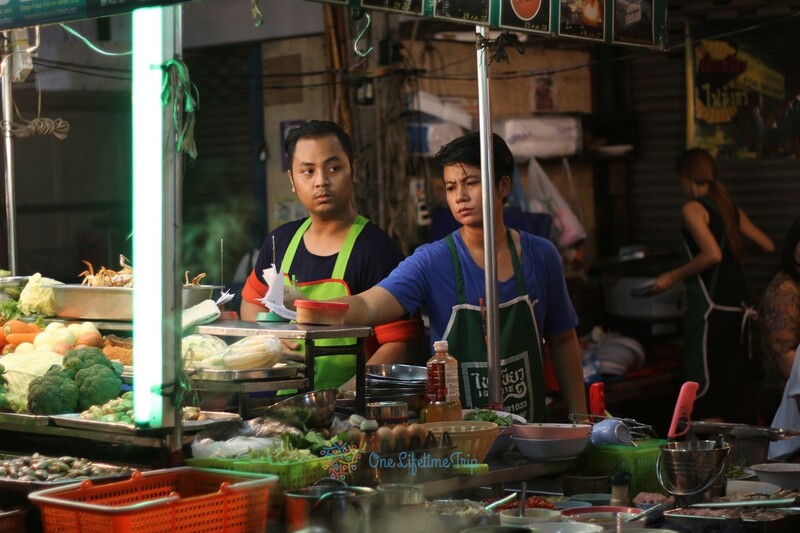 If you are looking for street food you can find everywhere Satay or national dish as Pad Thai. Also, you can try Tom Yam Kung soup. You can spend a good time on Khao San Road and can try some types of bugs if you have enough courage. You can taste scorpions, crickets and another ugly type of insects. Here on this street you will find some of the most delectable Gai Tod or say Fried Chicken. Another hub for street food and the highlight here is the Moo Ping Hea Owen serving an aptly tender succulent sweet pork with a stick piercing through it. Though you will find these in Pratunam Market too Hea Owen is something locals recommend the most. Thai people not only have a sweetheart but also a sweet taste palette and their love for sweetness can be seen in the form of condensed milk topping over the light crispy and delicious Banana Prata. It is something that can be found in any street market and will always taste good. Don’t like condensed milk?? Well, there are many other options to choose your toppings from. If you want to drink something and want some different experience, you must be prepared for what you will gonna find. Nightlife in Bangkok is pretty wild. 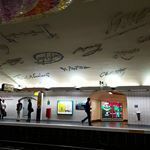 Of course, you can have drinks in the same places where to eat but if you want more you can go just for drinks and fun in the go-go bars which are “institutions of naughty nightlife”. You can enjoy seeing bikini dances. 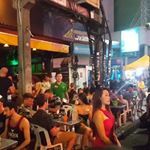 Most of this bars will find on Khao San Road, Sukhumvit, Silom or Siam Square. Do not forget, smoking is forbidden everywhere, bars, restaurants, nightclubs pubs. Also, you must be aware sometimes Thai police can raid clubs and bars and makes searches and drug tests. For your own good, you must have your passport. In Bangkok, you can find also gay bars and go-go gays bar. you can find them in Silom. 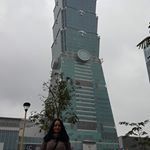 Thailand it’s an exotic destination and Bangkok one stop. 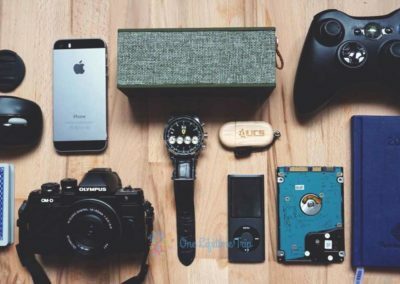 If you want to buy cheap flight tickets you must look for Bangkok as the destination because here you can find the cheapest tickets. You don’t need to carry too many things, just enjoy your time here. 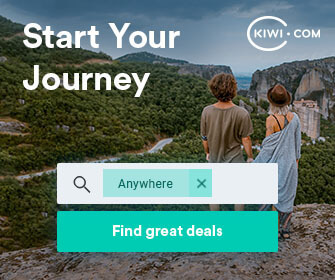 If you want to check the best fly tickets you can trust kiwi.com. Kiwi can help to find also best fly on your way home. With a hike in a number of tourists, Bangkok has seen in the past years, the city has grown to make its economy strong out of it. This has brought up everything from hostels for outgoing people to those lux stays. Basically, you just shed any amount of money and you will still find a place to crash out for the night. Congrats! You’ve made it! Bangkok is crazy but not that difficult to move around. The city public transport system is good and convenient. If you want to chose to move around by public transit, here you go. 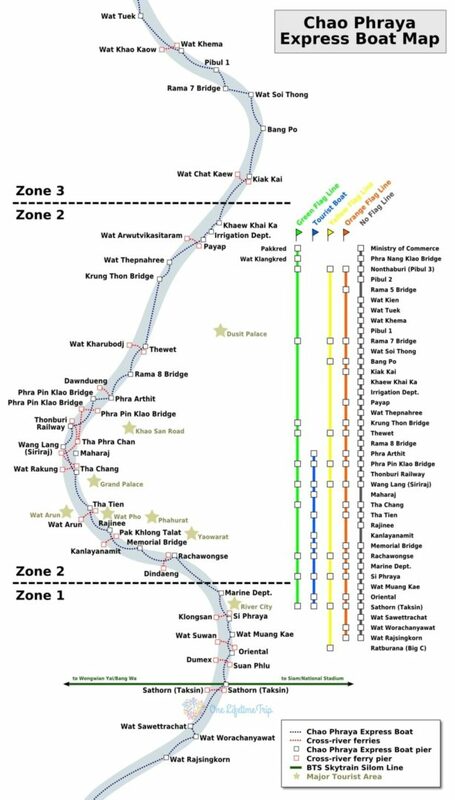 You can take a Skytrain, BTS Skytrain line, and cover most of the important areas. Saen Saep Express Boat is another option, usually used by workers, is very cheap, it’s immune to traffic jams and it’s safe. Also, you have another option, like River taxi but it’s expansive and can cost 1000 baht per hour. Grab and Uber are the most popular way to travel inside Bangkok. I think it’s not necessary to explain why: cheap, safe and fair. Using these apps you can prevent scams or over prices and it’s easy for everybody if you have language barriers. Tuk-tuk is the most famous way to travel in Bangkok. It’s perfect if you want to make your own tour and it’s very comfortable. Also, don’t ignore the buses, there are so many and, of course cheap. Now we are getting to our top. 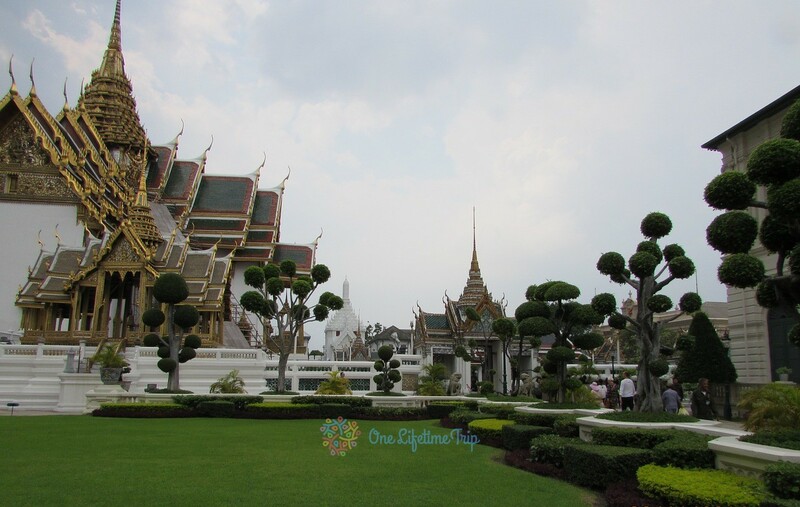 Here are some of the most beautiful sites Bangkok presents to its visitors. In other words, let’s start! Jim Thompson was an American businessman which was involved in Thai silk industry, a man of importance from the time of World War II. Visit this place and learn about how Thompson got into the fashion industry and how significant is this jungle house compound. Here you will see the passion of Jim as an art collector and also a silk entrepreneur. It’s a little slice of tropical jungle in the city. 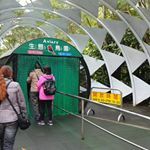 Easily accessible by sky train, buses, and even the canal boats. 200 baht for adult entry (100 if under 22 with proof) and includes compulsory tour- it lasts about 35-40 minutes. They’re offered pretty frequently and in a wide range of languages. 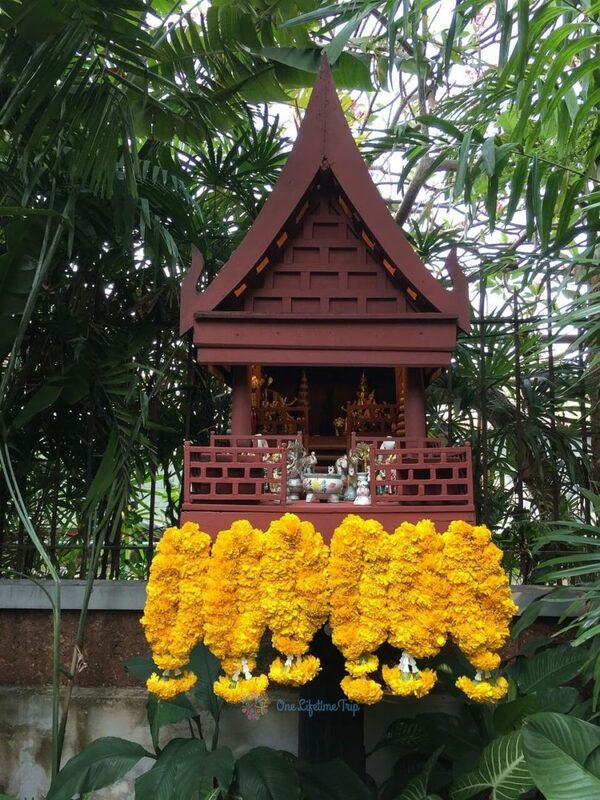 The house itself is made up of 6 traditional Thai houses out together and is beautifully maintained to house Jim’s collections of furniture, ceramics, and paintings. Restaurant on site looked beautiful too. 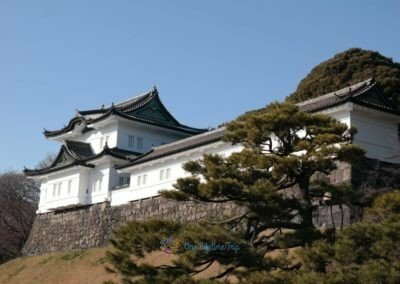 Once a former royal residence is a today open to the public to survey some of its grounds and for ceremonial occasions. In order to witness its grandeur visitors are allowed into four of its buildings namely Boromphiman Hall to the east, hall of justice called Amarindra Hall to the west, the Dusit Hall and the largest of all Chakri Maha Prasat or The Grand Palace Hall. Coach park is a bit of a trek, in the heat, to walk to Royal Palace entrance and before you enter to need to make sure you are dressed modestly or get the correct cover-up attire from sellers nearby. Once inside you will be probably be overawed by the grand Temple of the Emerald Buddha, Thailand’s most sacred temple and an important pilgrimage site for Thai Buddhists, but there are plenty of other spectacular buildings inside the Grand Palace grounds. A guide is essential to make sense of what you will see and ensure you are aware of local customs. 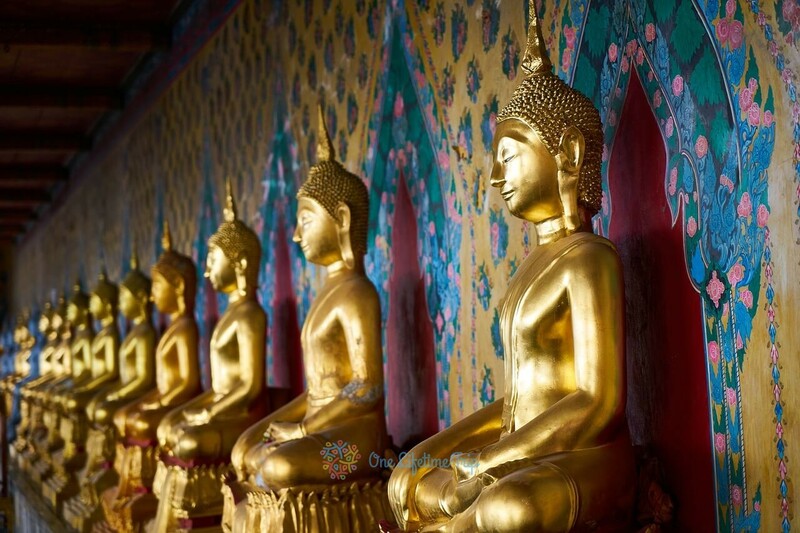 Next to the Grand Palace within the same complex is the core of Thai spirituality. The temple of Wat Phra Kaew not only holds a spiritual significance but also beholds the hearts of the visitors with its architectural enigma. As you enter the temple premises you will notice an emerald Buddha and some beautiful Ramakien Murals that won’t let you turn off your camera. You can click good pictures, worship Buddha. You will get peace and pictures. Nice place to visit. There’s a nice shop you can buy Thailand versions of Hindu gods. they have a slight difference from India but you would love to see them and maybe buy them. When the calendar shows its Friday, the streets of Chatuchak are lined with a shop selling everything from used sneakers to tiny pets. Spend your day here buying, eating and just enjoying the vibes. Tip of the day is to avoid the crowd and beat the heat by reaching there at somewhere around 10 am. Foon Talop and Cafe Ice are a must go standouts for your hunger treatment. Chatuchak Weekend Market is a big market in Bangkok that you don’t miss. One day is not enough if you want to explore it in every inch. There is a food zone (Thai food+international food), cloths zone(you can buy a t-shirt for a cheap price). There is all kind of fashion. Beautiful souvenirs zone, Furniture zone, accessories zone etc. If you don’t like shopping I introduce you to go to this market to see an amazing thing around you. Please remember you can bargain the price and it’s so hot. 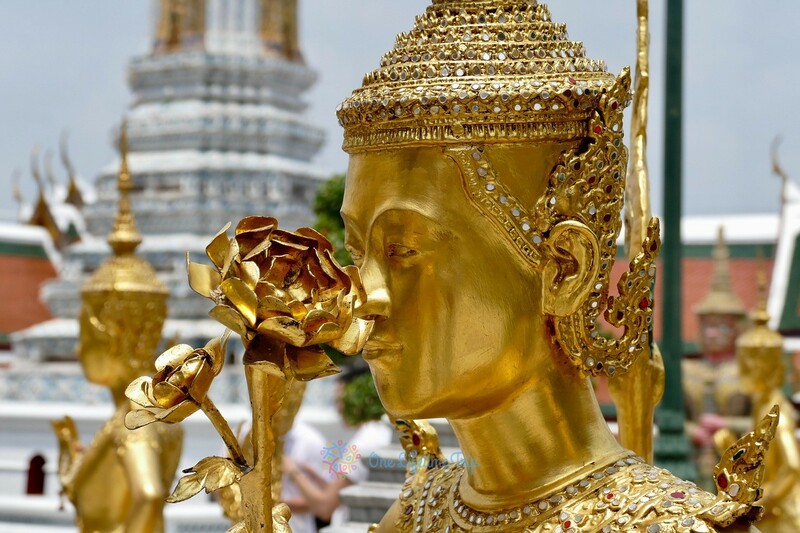 It is one of the most iconic symbols of Buddhism that Bangkok takes pride in. Named after the Indian god of Dawn Lord Arun, the temple is one that is most encouraged by those that fall in awe witnessing its grandeur. The temple is adorned with centuries-old mosaics and murals and is loved by everyone. Of the thousands of wats, you could see in Bangkok, there is a reason that this is one of the better ones. 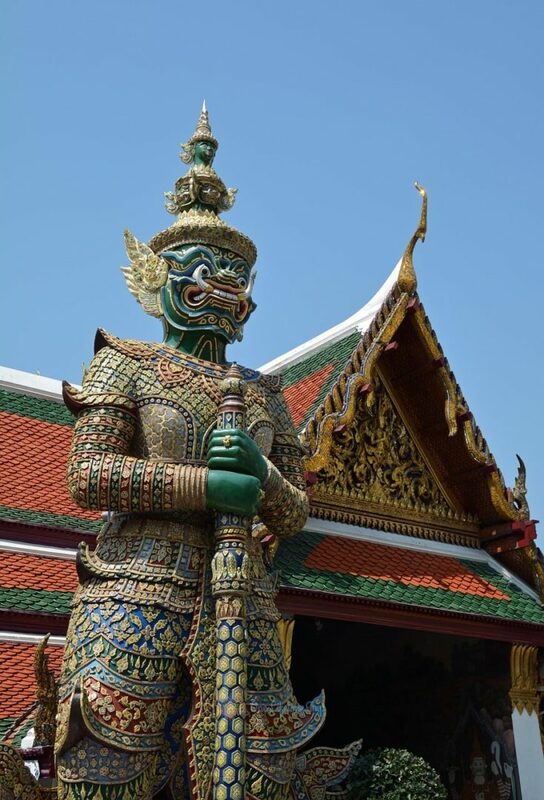 A major stop on the Chao Phraya River, this stunning piece of architecture is entirely encased in mosaic tiles. Picturesque views of the river will make this a memorable stop. You will find a lot of the plants and flowers in the wat were very unusual and a real treat. 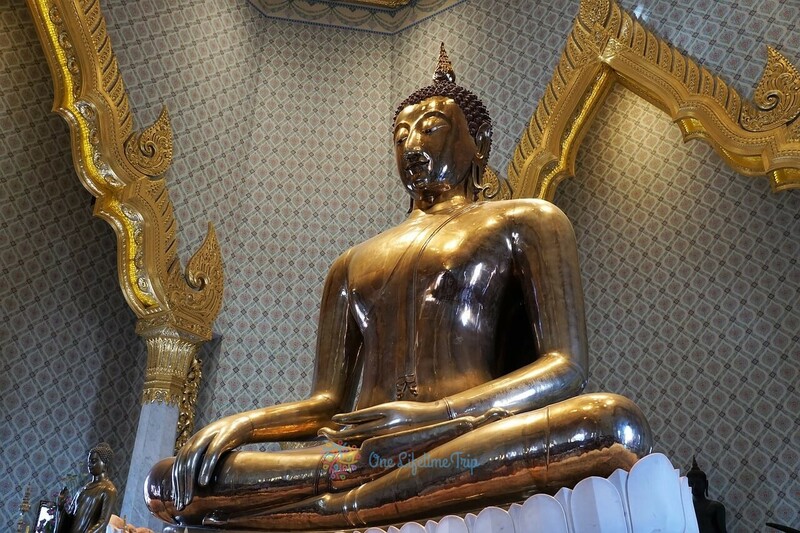 With gleaming gold inside the four-story marble, a structure is a Sukhothai style Buddha sculpted out of pure gold. Discovered somewhere around 60 years ago, this image form of Buddha graces the temple and lures its visitors. The second temple exhibits about how the temple came into existence and took a shape of what is seen today while on third-floor houses a museum depicting the history of Bangkok and its residents. Better called The Death Museum. Why would someone want to see the deads on a vacation? Or are thinking why not? It’s gonna be quirky but thrilling too! Well, then this is one place where you get to spend some time with grotesque displays, deformed human and animal bodies, and the eerie graphical exhibits. 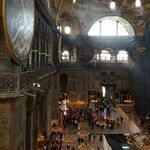 This place will surely give you goosebumps and comes with a small price tag of around 6$ which gives you entry to five other museums along with this. Well known is the fact that Bangkok is the most LGBT friendly city and a visit here would be incomplete with experiencing a cabaret that’s acclaimed to be far better than the lady cabaret. Head to Playhouse Theater Cabaret and enjoy your eve having one of the most unusual experience: Chinese cabaret and even Korean & Hindustani dances – hilarious Japanese miming and skit to add a touch of humor but above it all. Very talented performers and dancers with beautiful costumes and stage settings to match. A not to be missed experience in Bangkok is the cultural show at Siam Niramit especially for those who have an interest in knowing Thai culture and history in the deepest way. Watching a show where you would have ticked of watching the world’s largest stage show with over 100 lavishly dressed performers. If you are booking your tickets to the show, I would recommend you book it through the agents either in your country or in Thailand, as the price of the tickets is a bit high at the venue. If you are planning to go early, have the dinner booked as well as part of the plan, and again, please do it thru your agents as it is a bit expensive if you do it there. You can take pictures with performers, feed the elephants, take pictures during Muay Thai match. An area loved by all just to get lost in. Lost in the backstreets, lost in the street snacks or lost in just doing nothing. 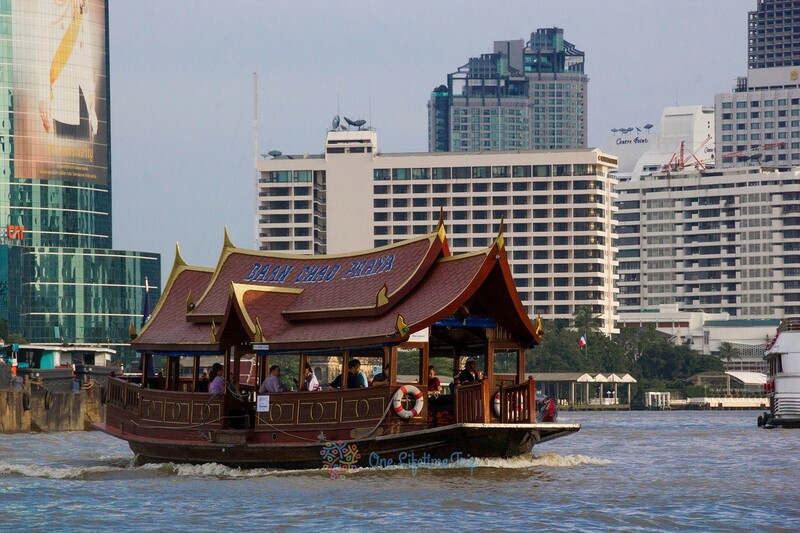 It is one of the oldest markets of Bangkok and you get to choose from flower market to admiring the riverside and once you are done flag a cab head over to another attraction of the city. This is an incredibly vibrant part of the city, but manage your expectations as it doesn’t suit everyone being so busy, it’s also very hot but it all adds to the character, lots of market stalls & plenty of cheap places to eat but in essence it’s a community where locals go to do their shopping & socializing, certainly worth a visit if you’re in the vicinity. What better way could be then to end your day on a dinner cruise. The cruise takes you through the iconic Grand Palace, the Rama 8 Bridge and the Temple of Dawn (Wat Arun) and as you treat your mouth palette with scrumptious food, the spectacular night views will be a treat for your eyes. Technically, all the must visit place around Bangkok make for a day trip being at only 4-5 hours of journey. But, if someone really want to relinquish their beauty then at least a night stay is strongly recommended to get over with the gritty charm of Bangkok. 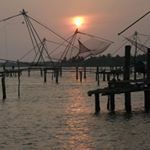 Now, as you are done with the rampant heat, traffic, and pollution it’s time to find yourself at places that will bring a peaceful end to your vacation. There are lots of such destinations in the vicinity of Bangkok you can go ahead with. 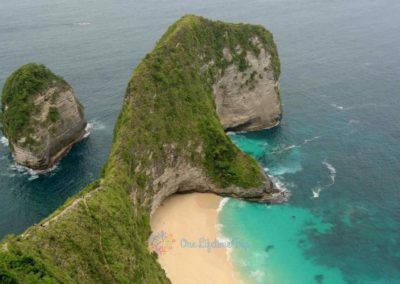 From the historical towns of Ayutthaya and Kanchanaburi to some stunning islands that are perfect to add some sunny & sandy vibes to your vacation. 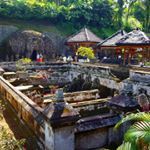 Also called the Ancient Siem, the Ancient City is just an hour away from Bangkok and perfect for those who-who just have few hours to spare for an outing. 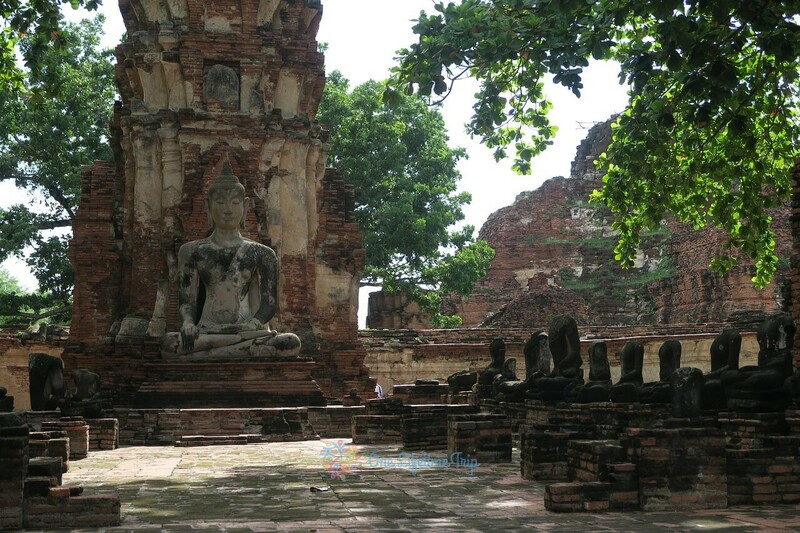 Wandering through this 200 acres of Ancient City will provide you insights into Thai history and culture. 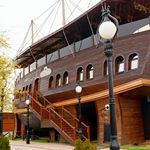 Romantic atmosphere, tastefully recreated monuments, temples and gardens in this Thailand like shaped park provide a peaceful respite from the city. 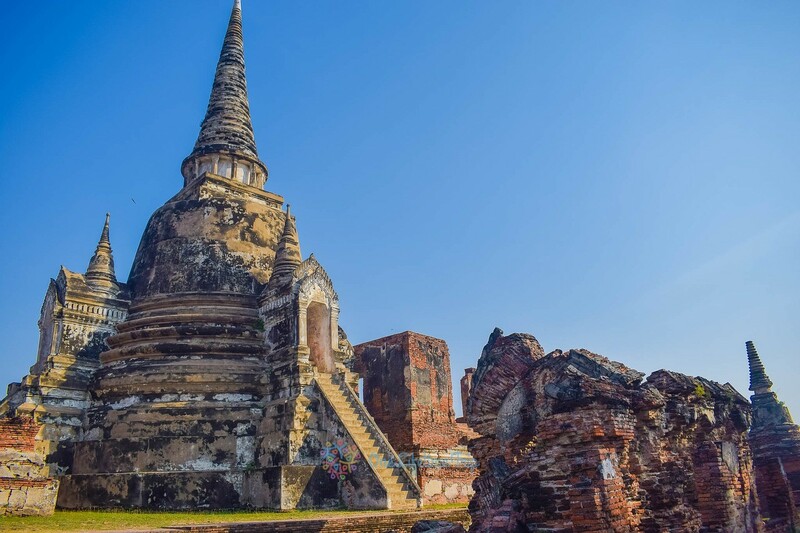 A day trip to this Ayutthaya which was once the ancient capital of Siam would do the needful but an overnight stay will give you a good leisure time. Renting a bicycle is the best way to explore the crumbling temples and statue just as you would do in Angkor Wat. 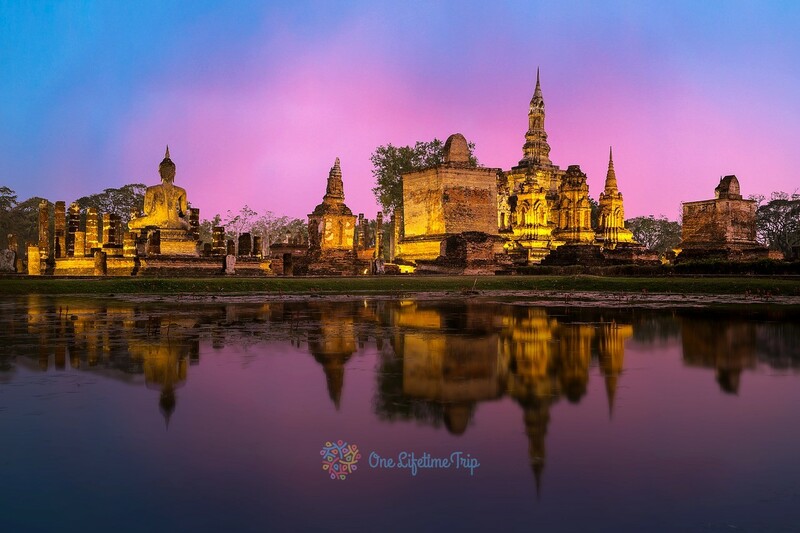 Absorb in the centuries-old Thai history and don’t be amazed if you find yourself alone at some of the little-known temples of Ayutthaya. 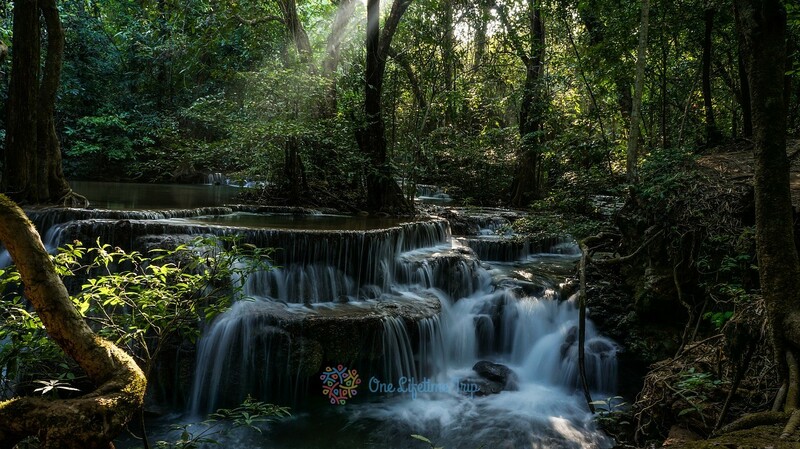 Sitting to the west of Bangkok at the confluence of three rivers, a visit to the Kanchanaburi would not get peaceful until you get out and move towards the outskirts of the town. Plan your stay alongside the rivers at guest houses with stretched out gardens. Learn the real story of the town as you visit the museum and war cemeteries. 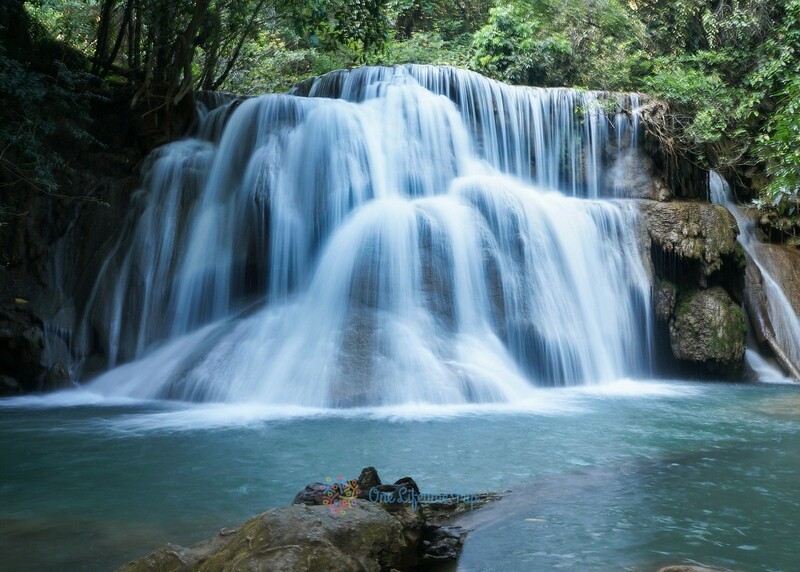 Cool off yourself in the turquoise pool along the hike to the cascading waterfall in Erawan National Park. Vineyards & Thailand…Doesn’t rhyme right? Though Thailand lacks a legacy when it comes to wine a visit to this floating vineyard would be a unique experience in itself. Situated at 40 miles from the bustling city of Bangkok, this vineyard in the town of Samut Sakhon makes for an interesting day trip. Built on the rich reclaimed price of land from the Chao Phraya River Delta, the workers row their boats through the narrow lanes in order to do the pruning. Where can 4 hours of drive take you from Bangkok? 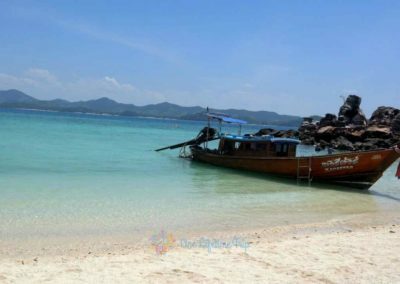 Well, it takes you to one of the most popular non-island coastal towns of Thailand. 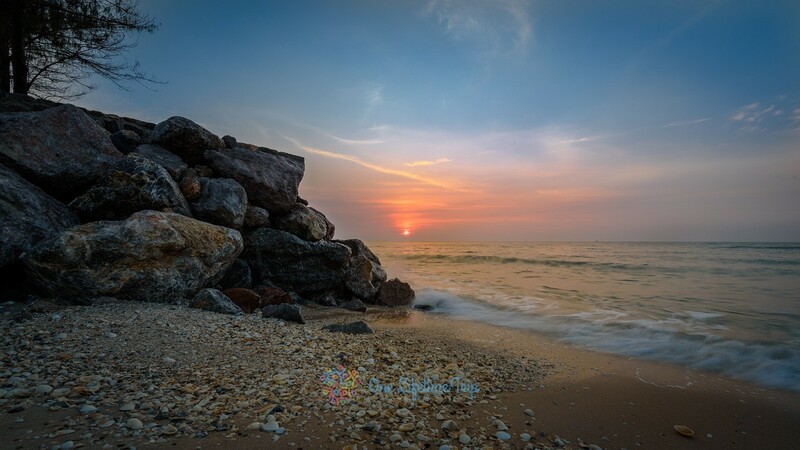 Hua Hin is home to wide beaches attracting both local and international families and expats. The beach strip is occupied by many hotels and spas still leaving some space for greenery on the nearby hill. Khao Takiab is the place to spot excellent views of the beach Buddha statues on top of the hill that will adorn your sunset shots. Other popular activities in Hua Hin include Golf, shopping malls, and a night bazaar. There’s so much more to Bangkok that no one article would do justice when it comes to listing all. 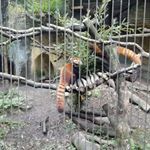 Though all the highlights of Bangkok have been listed above there’s more to it which includes Koh Chang, Koh Lang, Koh Si Chang, Koh Samet and it does not end here. 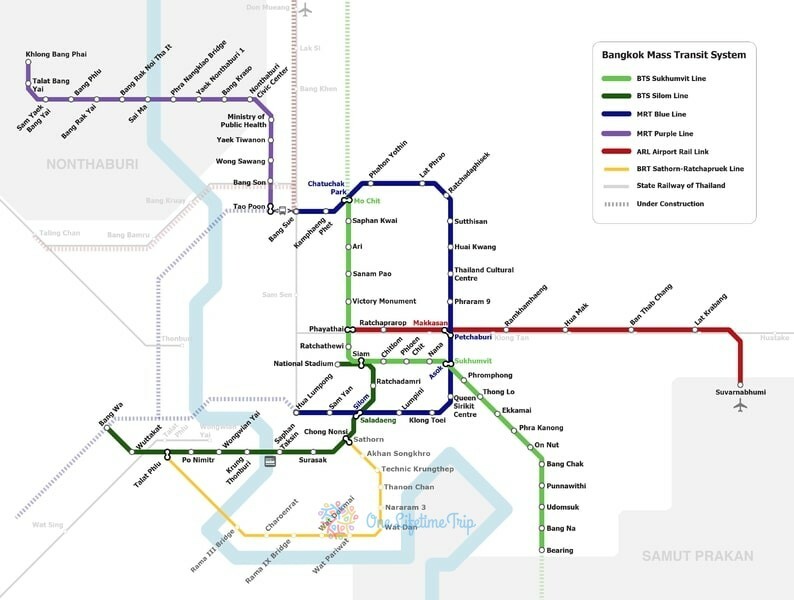 Now if you must be wondering of getting around Bangkok then the best way is to put the train network at use. Doing this would glide you past the traffics and you may also end up having some great views.